Oxygen Forensics releases an update to its flagship forensic software, Oxygen Forensic® Detective. The new version allows forensic experts to acquire additional cloud data set from iCloud Drive: documents, videos, audio files and photos. The updated Oxygen Forensic® Detective also enables data acquisition from iCloud Photos. All available photos are extracted together with geo coordinates and can be automatically opened in build-in Oxygen Forensic® Maps. This software update adds the ability to export to PDF report all device user’s conversations in Chats View. Oxygen Forensic® Detective v. 8.4 supports the latest Apple iPhone SE and acquires data from 1900+ apps versions. Oxygen Forensic® Cloud Extractor. Added the ability to extract data from iCloud Photos. Forensic experts obtain access to photos, their geo coordinates and time stamps. 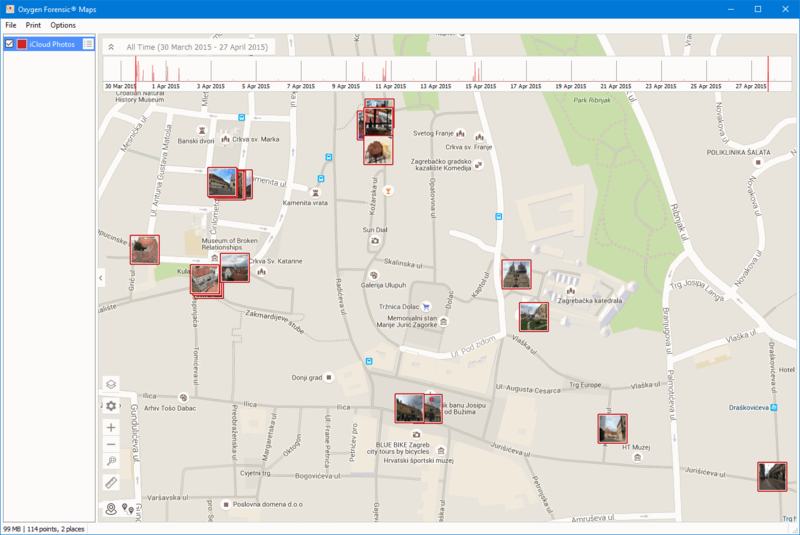 Extracted photos with geo coordinates can be viewed on offline Oxygen Forensic® Maps. Oxygen Forensic® Cloud Extractor. Added the ability to extract data from iCloud Drive. 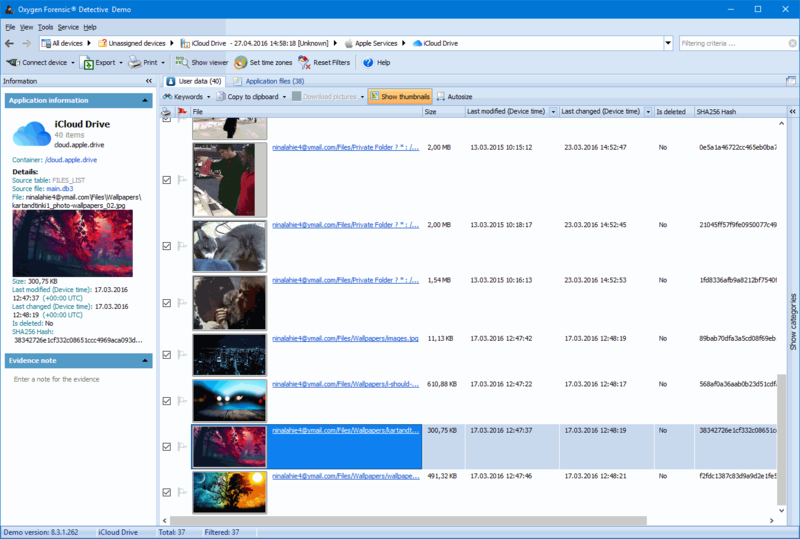 The tool extracts all available files including documents, videos and photos. Export. 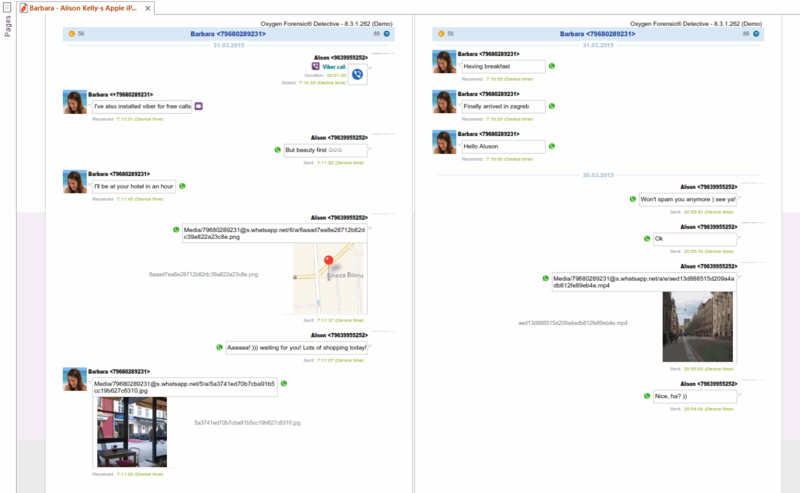 Added the ability to export conversations in Chats View from contact card to PDF report. Export. Added the ability to export every section to a separate file. Oxygen Forensic® Maps. Added the opportunity to choose the appropriate unit of measure: miles or meters. Oxygen Forensic® Maps. 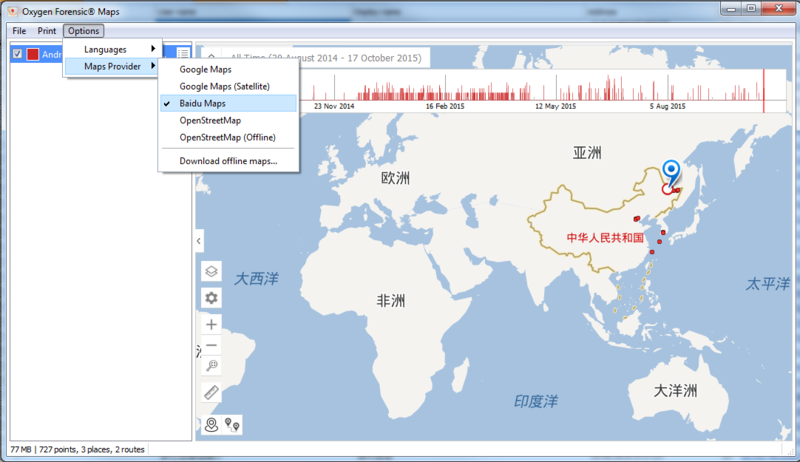 Added integration with Baidu Maps. Chinese customers can switch to Baidu Maps view in Options/Maps Provider menu. Oxygen Forensic® Extractor. Added advanced export settings. Oxygen Forensic® Extractor. Added the option that allows to enable and disable automatic search for particular device platform (OS). Added support for iPhone SE. Applications. Web Browsers. Added data parsing from Yandex Browser (16.2) from iOS devices. Applications. Navigation. Updated support for Apple Maps (8.1.2, 8.3) from iOS devices. Applications. Social Networks. Updated support for Facebook (51.0) for iOS devices. Applications. Social Networks. Updated support for Instagram (7.20) for iOS devices. Applications. Social Networks. Updated support for Odnoklassniki (16.5.5) for Android OS devices. Applications. Messengers. Updated support for Facebook Messenger (62.0) for iOS devices. Applications. Messengers. Updated support for WhatsApp for iOS devices. 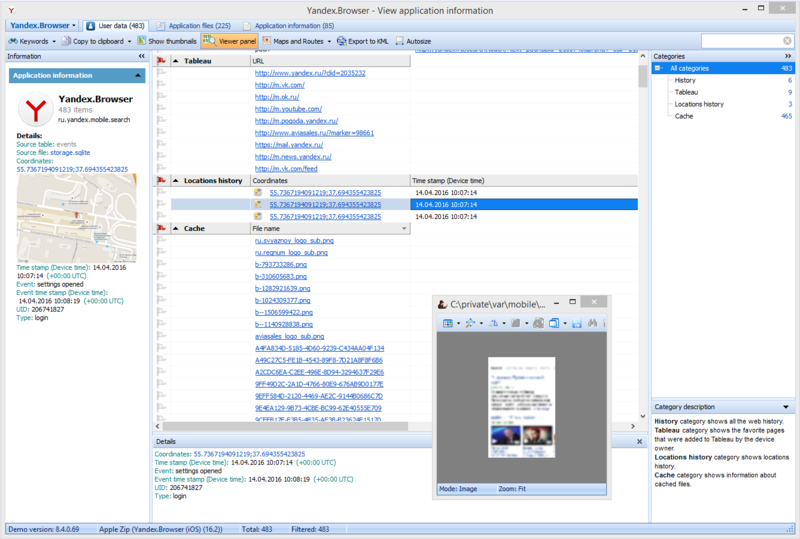 Added ChatSearch.sqlite parsing. Applications. Messengers. Updated support for Wechat (6.3.15.65) for Android OS devices. Applications. Messengers. Updated support for Zello for Android OS and Windows Phone devices. Added decoding of voicemails. Applications. Messengers. Updated support for Line (6.1.0) for iOS devices. Applications. Messengers. Updated support for Line (6.1.0) for Android OS devices. Passwords. Improved keychain file parsing from iOS devices. Oxygen Forensic® Maps. Accelerated module loading.